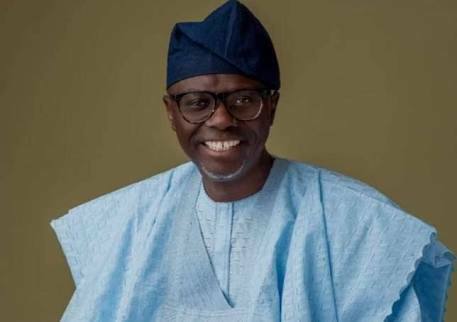 PDP Reacts: "Sanwo-Olu Will Be Beaten Black and Blue"
The Peoples Democratic Party, Lagos State chapter, has said the emergence of Babajide Sanwo-Olu as the governorship candidate of the APC would facilitate a seamless victory for the PDP in the 2019 governorship election in the state. Gani Taofik, the party’s Publicity Secretary, said the PDP would beat Sanwo-Olu and the APC black and blue, adding that Asiwaju Bola Tinubu, a national leader of the APC, rejected the incumbent governor, Akinwunmi Ambode, for a second term in office because of alleged disagreement in the sharing of Lagos money. He told Daily Independent: “We don’t see Sanwo-Olu as a threat at all in the forthcoming governorship election. In fact, we will beat him and the APC black and blue. Our candidate will win him hands down because we know that the only reason why he has been presented is to be used as a conduit pipe to siphon Lagos money. “It is obvious and in the public domain that the disagreement between Tinubu and Ambode is because of the sharing of Lagos resources. While one insisted that he must continue to get his percentage, the other said that it cannot continue and he wants development.